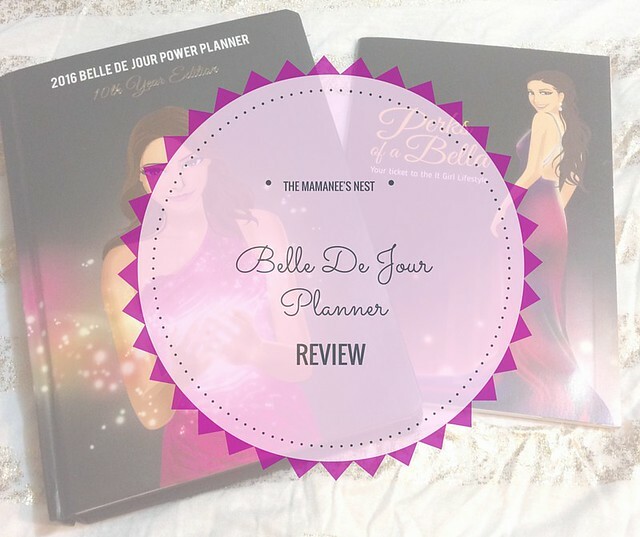 Ever since I discovered the Belle De Jour Planner, I have been hooked. This is my third year with buying the planner and I have never looked back. There are many planners on the market but I feel that this is the planner that suits my personality the best. For 2 years I have been buying the spiral version and this year I decided to go hardbound. I usually keep this planner for everything but this year, I plan to keep it as personal planner and keeping my work planner separate. 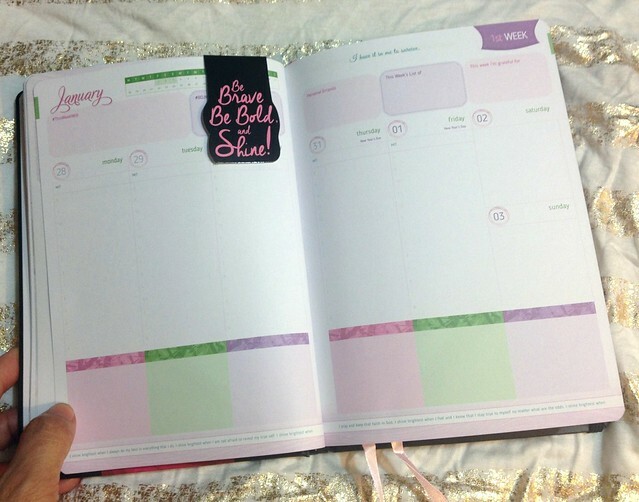 I also created my own blogger planner for organization. I purchased mine at National Book Store for 598Php, they have a set up near the cashiers. 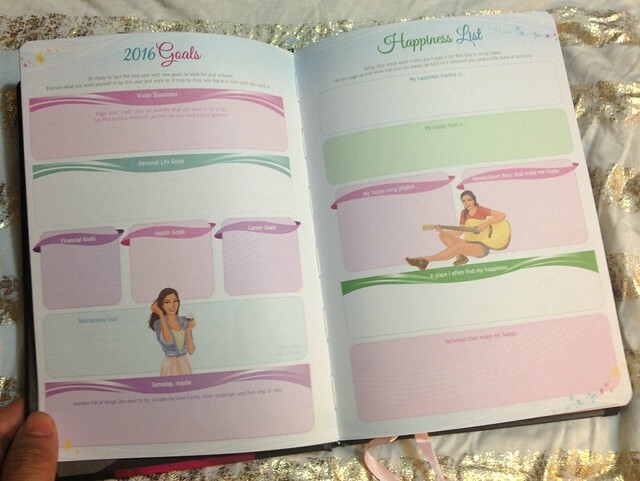 I have a lot of personal goals this 2016 and I know the Belle De Jour Planner is going to keep me on track. 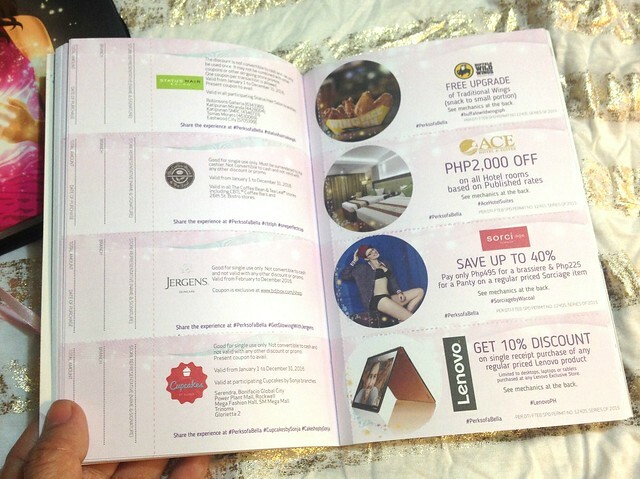 Pages are jam packed and colorful, like it keeps calling you back to write or place in an entry and I really love how they have kept the coupons separate again which keeps it neat. 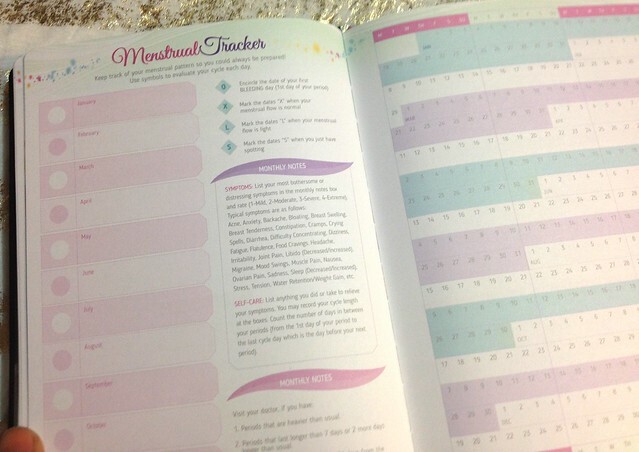 I honestly love how this planner is all about self empowerment and affirmation, you get a dose of it every month. 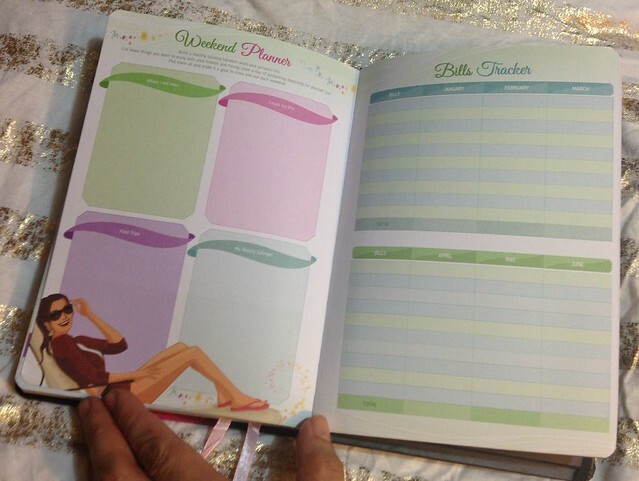 A Smart Bella Plans ahead and pays the bills on time! 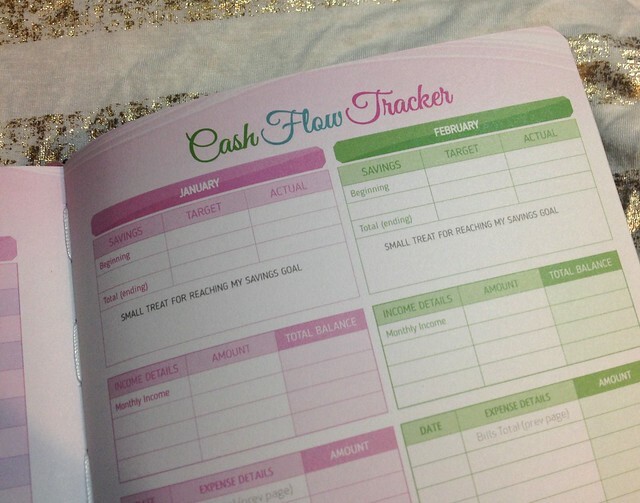 My favorite page this 2016 - to become financially successful! There is nothing wrong with spending, as long as you are doing it right! 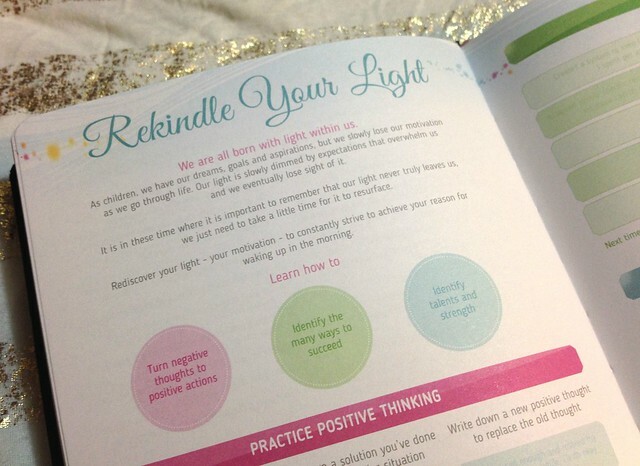 Personal reminders to help you along make your life a little more easier. To live your life to the fullest goals are always a way to go as well as listing things that you make you happy! ALL women need this to make sure you got your vacation on the right date plus doctor appointments need not be trouble with remembering these important dates. 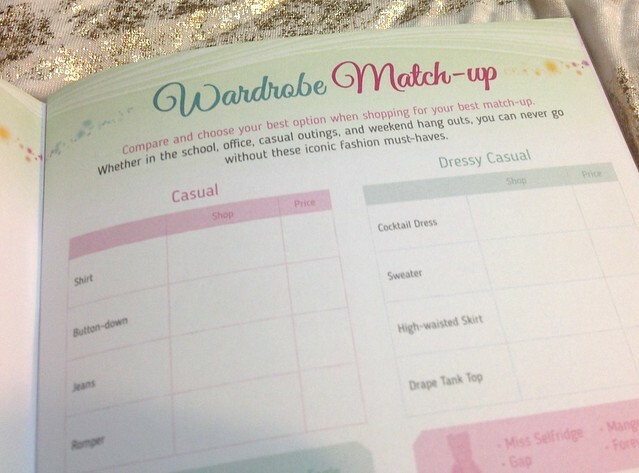 Do you ever get that problem of not knowing what to wear to work or that important event? Here are just few of the perks that you will get! 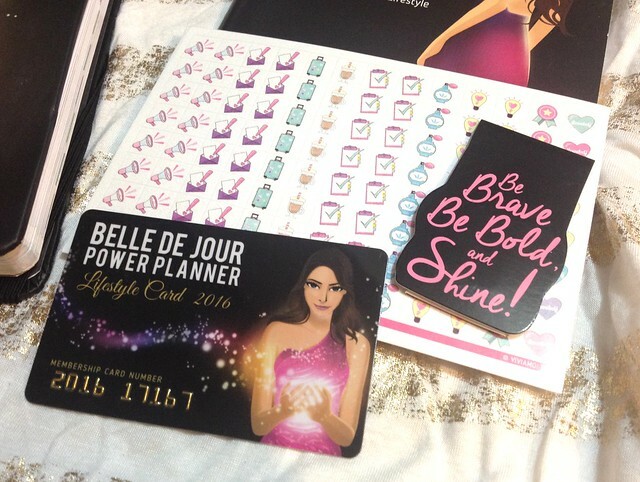 Your Belle De Jour Card comes with the planner for your exclusive discounts, event access and freebies! Stickers and something new with this cute magnetic marker! No more using paper clips to mark my page. Whopee! 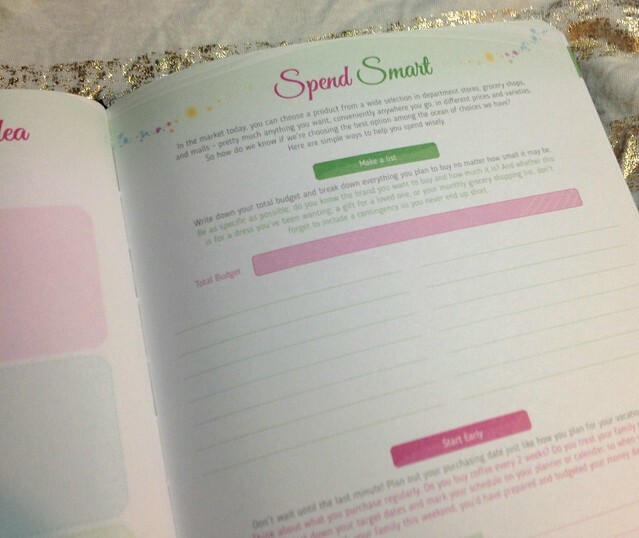 You can also purchase the planner online here. Sign up at their website to get in the know with their latest events and offers. and the views as well as opinions expressed here are my own.